The Hoyo de Monterrey Hoyo des Dieux is a Cuban classic, a light-medium Long Corona, 6.1” (155mm) long, of 42 ring gauge, and comes in a 25 cigars box. This Habano has very special qualities: regarding its brand, it is the axis around which the whole Hoyo line revolves, which is to say, the first medium-gauge new-generation Habanos, regarding the Coronas Grandes, it has learned how to leap forward into the future. But not only these Habanos are of new generation: the cigar makers that manufacture them are, too. We are in the presence of one of the Habanos that will mark, along with the Epicures, a new era. An elegant cigar. It has a noble smoke. 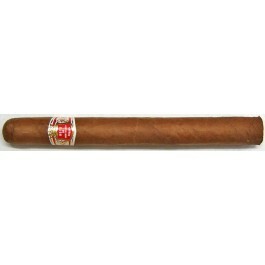 This vitola is classified (and has always been) among the Classic Havanas. A pleasant sweet toasty taste, with hints of roasted nuts and aged cedar wood flavours.